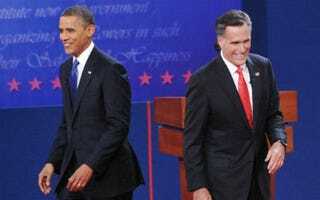 (The Root) — The first presidential debate is over. Whether you agree or disagree with the contenders for the highest office in the land, the one thing that can't be argued about is performance. Or can it? Watch The Root and This Week in Blackness' postdebate coverage last night featuring Anthea Butler, David Swerdlick and Imani Gandy, along with my co-hosts, L. Joy Williams and Aaron Rand Freeman. Check it out!